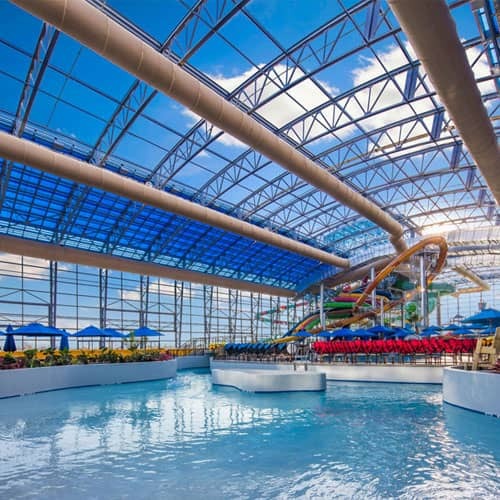 Designers, owners and operators of all aquatic venues whether they are, competitive pools, waterparks and/or more typical public or private natatoriums have grand visions of letting the sky in to create a more natural, outdoorsy setting… After all who wants to be inside in a dark artificially lit space when the weather is warm and the sun is shining? 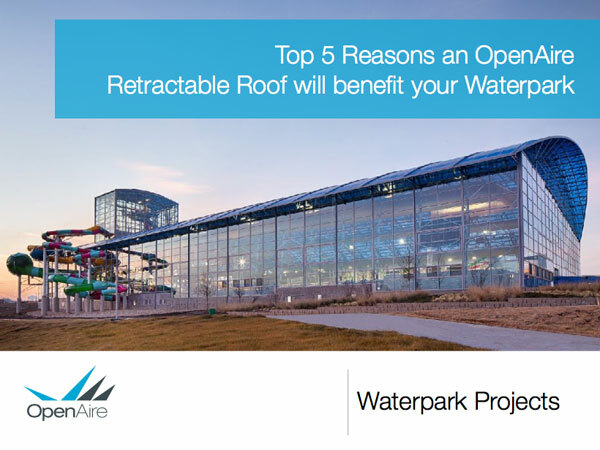 Our retractable roofs are both popular and profitable in aquatic centers because they let in sunshine at all times and when open they let in fresh air and allow operators to turn off costly MEP equipment. 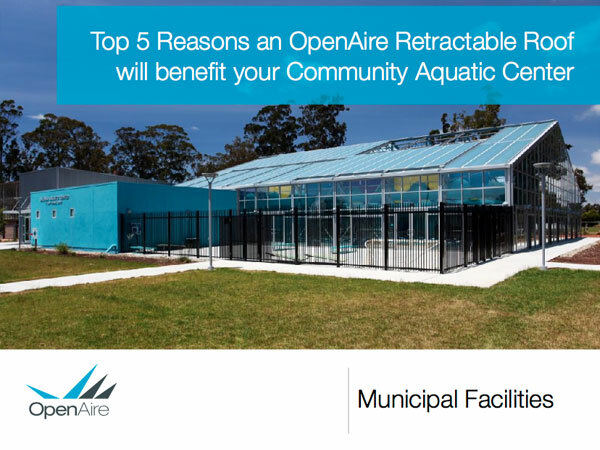 In an aquatic facility owners can attain up to 30% in yearly energy cost savings (based on US energy cost calculations) and have no maintenance costs for these corrosion proof aluminum structures. 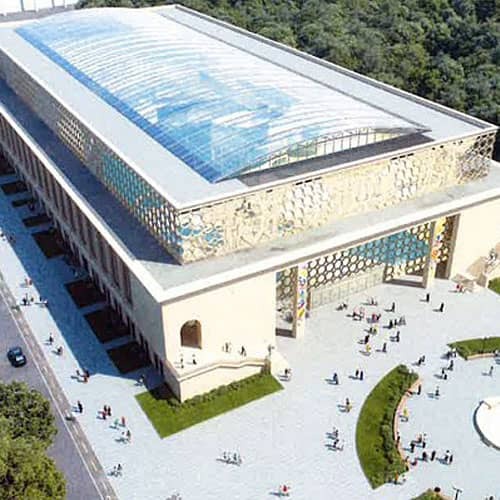 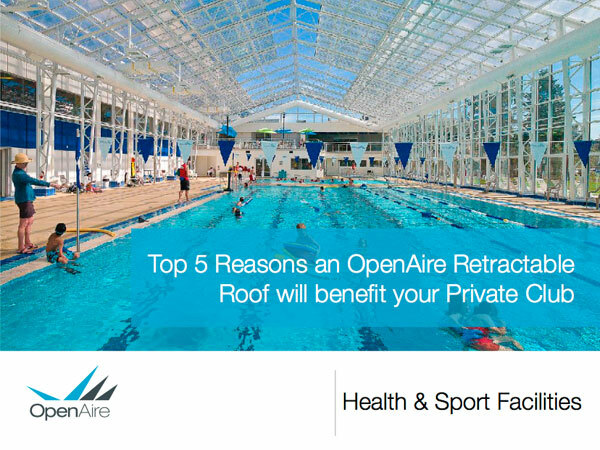 An OpenAire retractable roof enclosure can be an addition to an existing facility, a separate structure thats adjacent to your recreation center, or a retrofit of your existing outdoor pool or a renovation of your indoor pool facility. 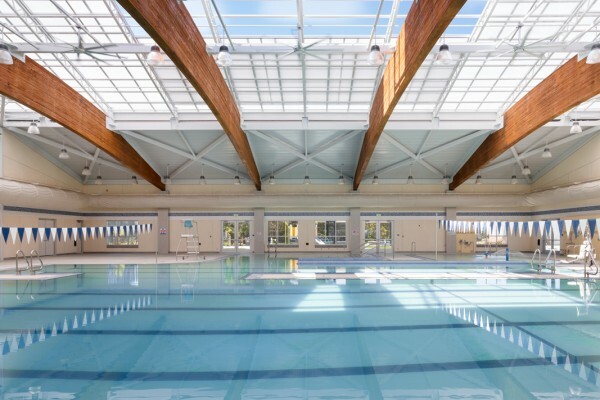 In Richmond California, at a community school pool facility, OpenAire added a retractable roof to an existing glulam aquatic center roof to rid the space of heavily chlorinated air and convert the pool into a bright sunlit space thats now indoors and outdoors. 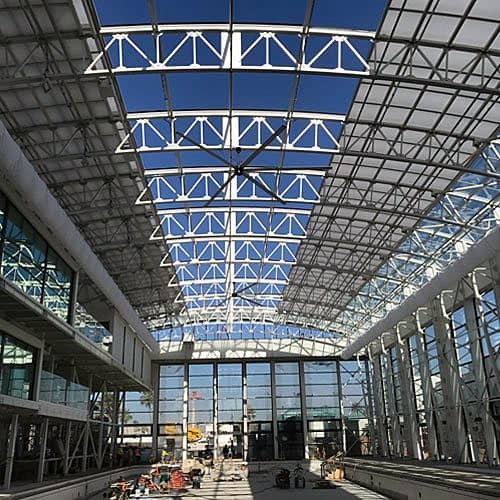 In Pocahontas Arkansas OpenAire was tasks with building a small 13,000 sf year round, weather resistant, facility for a community of 6800 people. 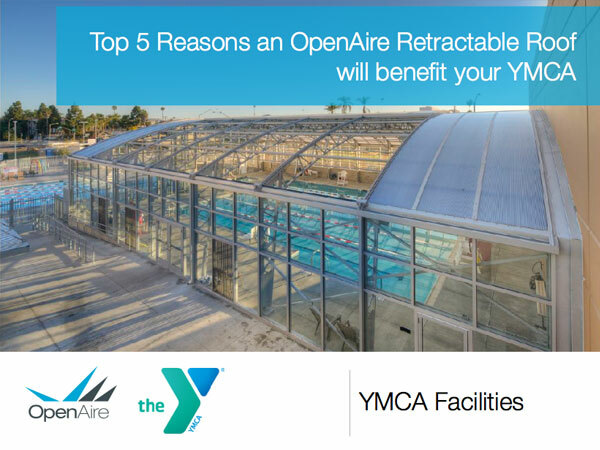 The solution a 91 ft x 147 ft enclosure offers year round programming for all of the residents of Randolph County and has been a major success for the local Parks and Rec department.